We are sad to announce that our Director, Gailene Stock CBE AM, passed away peacefully today after a courageous battle with cancer. Born in Ballarat, Victoria, Gailene trained initially in Australia and then at The Royal Ballet Upper School as a result of a scholarship awarded by the Royal Academy of Dance. She danced as a Principal Artist with The Australian Ballet, the National Ballet of Canada and the Royal Winnipeg Ballet, performing many of the leading roles in the major classics and also many dramatic works. Following a sixteen year professional dancing career, she accepted the position of Director of the National Theatre Ballet School, Victoria, Australia for eight years and The Australian Ballet School for nine years, before taking on the role of Director of The Royal Ballet School in 1999. Gailene led the School and its artistic development for 15 years and it is now widely recognised as one of the top classical dance training centres in the world. 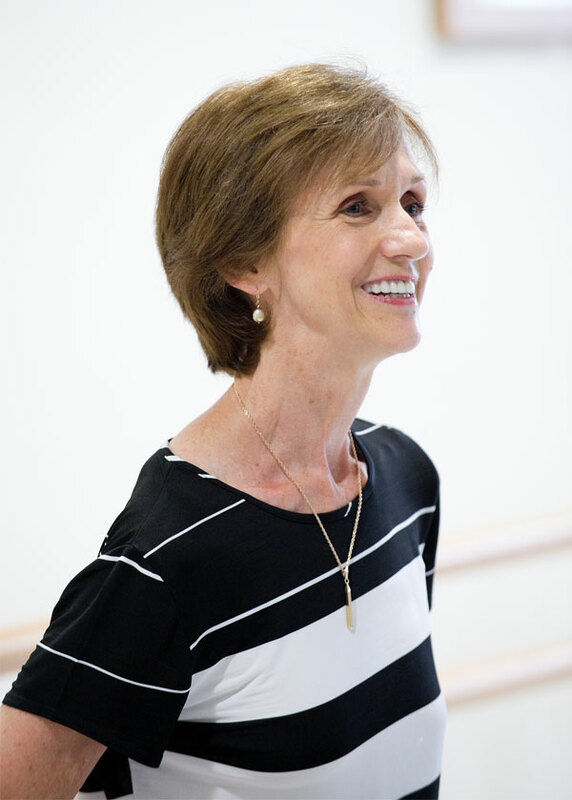 In 1997 Gailene was awarded the Order of Australia for services to ballet. She received the Governors of The Royal Ballet Gold Medal 2013. Internationally acclaimed, her knowledge and experience was regularly sought in the dance community worldwide. She participated as a jury member in many international competitions including the role of President of the Prix de Lausanne, Switzerland, and the Youth America Grand Prix, New York. Jay Jolley assumed the role of Acting Director during Gailene’s illness and Christopher Powney has recently joined as Artistic Director Designate. Our thoughts are with Gailene's family at this difficult time.